There's a lot to love the about the Hyundai Kona, which arrived in the model lineup with the 2018 model year, so you know it offers fresh ideas to a class that had grown stale over the past years. It comes standard with the qualities that car shoppers from Middleburg to Ponte Vedra Beach, FL are looking for, but what sets it apart is the customization options that will have you driving off our lot in a car that is uniquely you. What are the ingredients that make the Hyundai Kona the perfect recipe for a compact SUV? 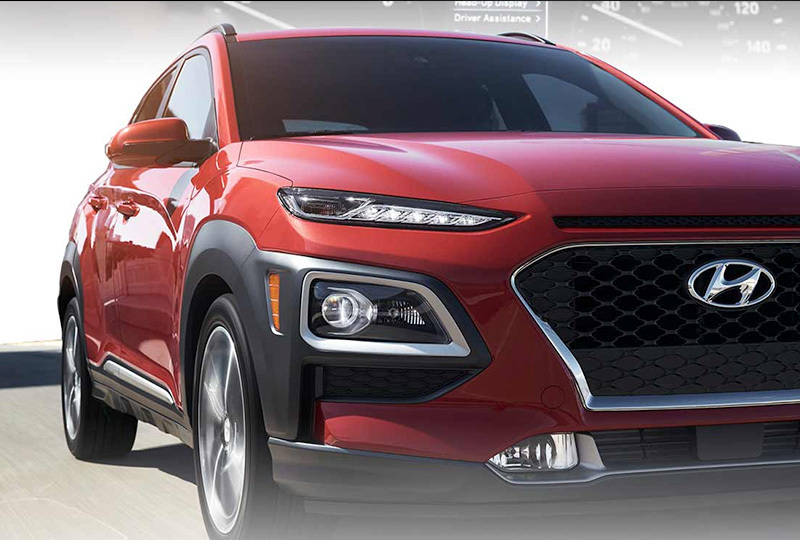 The Hyundai Kona is on the smaller side of the SUV category, which is great for nimble handling around city streets and a lower curb weight that lets you feel all the power of the engine. That being said, its cabin fits five full-grown passengers in comfort and is ready for transporting cargo when you fold the second row of seats down. Additionally, design aspects, like body color mirrors and door handles, and features, like roof rails and a power sunroof, add a sense of style and sensibility to your car. Plus, it comes in a wide range of colors from an electric yellow that oozes energy to a subtle gray for the more serious driver. 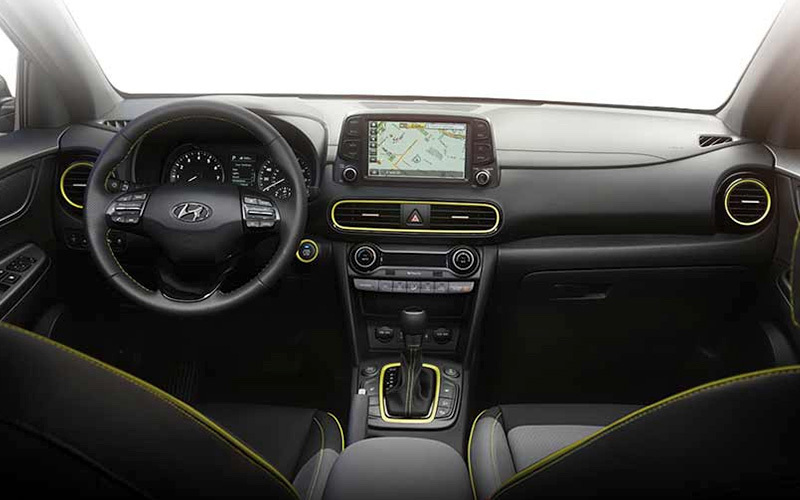 From a protective design with aspects that you won't see, like a front crumple zone and bodyside reinforcements, to tech that blends seamlessly into the exterior, the Hyundai Kona has Fruit Cove passengers covered in a variety of ways. There are two engine options available, so Orange Park car shoppers looking for performance or efficiency will have their choice, although both do well to mix those two characteristics. The 2.0-liter I4 engine that comes standard gets an EPA-estimated 30 mpg combined, so you'll sip fuel whether you're in stop-and-go traffic or the only car on the highway, and it still is capable of thrilling drivers when they step on the gas. 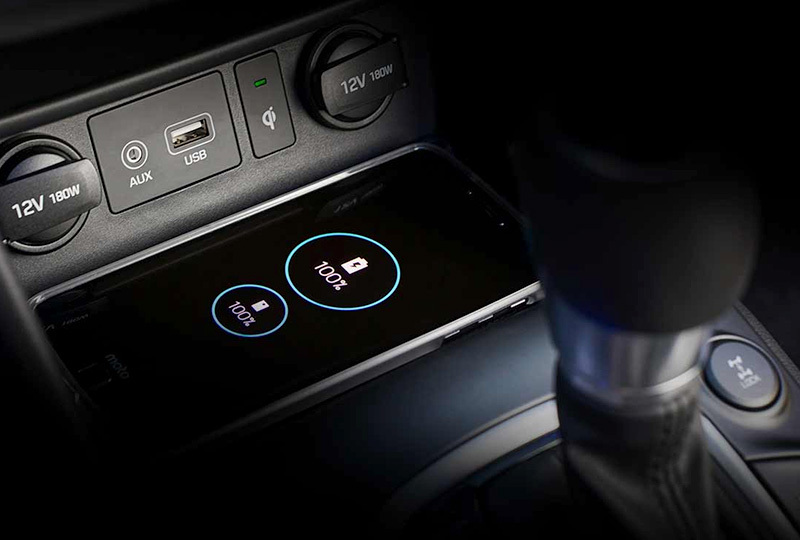 It is available with front- or all-wheel drive and a 6-speed automatic transmission is in charge of power output. Want some added power? The other engine is smaller, but it uses turbocharging technology to deliver 175 horsepower and 195 pound-feet of torque, and it actually has similar efficiency specs as the other engine. It is also available with front- or all-wheel drive, but it comes with a 7-speed dual-clutch transmission that moves effortlessly throughout those gears no matter the speed you're going. We discussed how the Hyundai Kona is all-new, and the technology found throughout the cabin certainly helps to prove that. 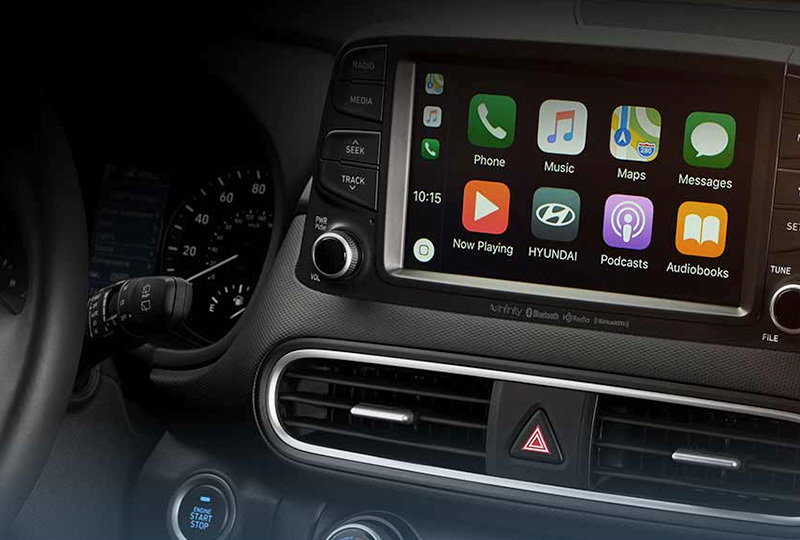 It comes standard with a 7-inch color touchscreen in the center dash, with the option to upgrade to an 8-inch display with built-in navigation, and both options are compatible with most smartphones thanks to Apple CarPlay and Android Auto support. 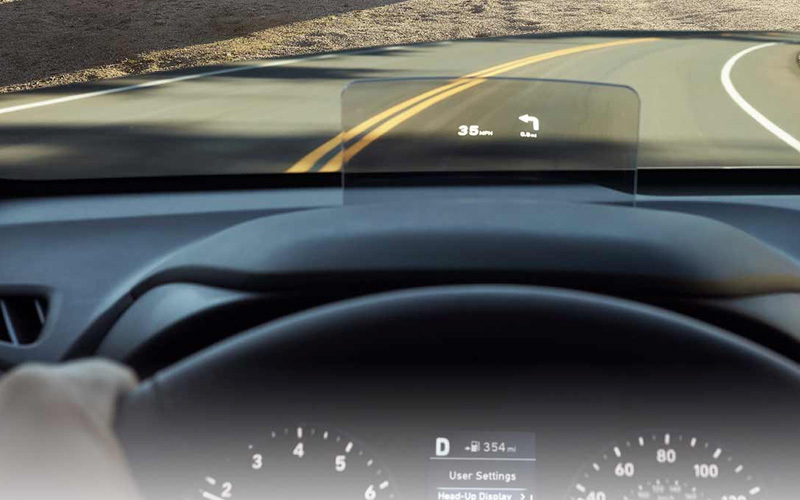 Other tech ranges from the Rear View Monitor with parking guidance to an available head-up display that keeps you updated on important info without having to take your eyes off the road. 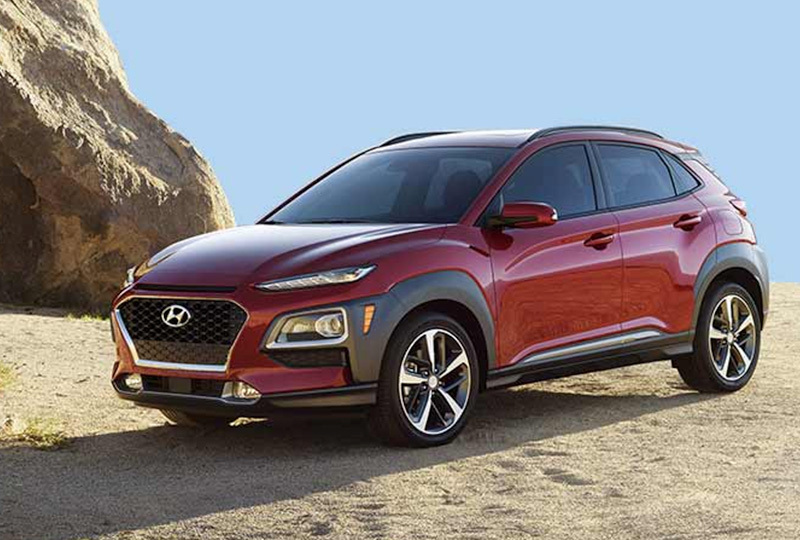 In addition, the Hyundai Kona has comfort features, like a driver's seat with lumbar support and automatic temp control, as well as premium materials, like leather seats, that up your driving experience even more. Sound like the car you're looking for? Feel free to come to our dealership in Jacksonville if you want to see it in person, or call ahead if you're looking to test it out on the road!